The best way to explore every nook and cranny of this tiny island-state is by foot, and the easiest way to understand a country is to meet locals who can share personal stories. Experience this with a one of many free walking tours in Singapore! If your’e looking for a fee walking tour Singapore has it all, from heritage to art, nature to religious monuments and beyond. Rain or shine, an energetic group of yellow-shirted young guides from the NTU Tourism & Hospitality Club will present Singapore as they know it best. Join them along the banks of the Singapore River and onward through the Bras Basah and Bugis precincts to see how this former fishing village developed into a modern city-state, and marvel at how different religious and racial communities have come to coexist harmoniously. 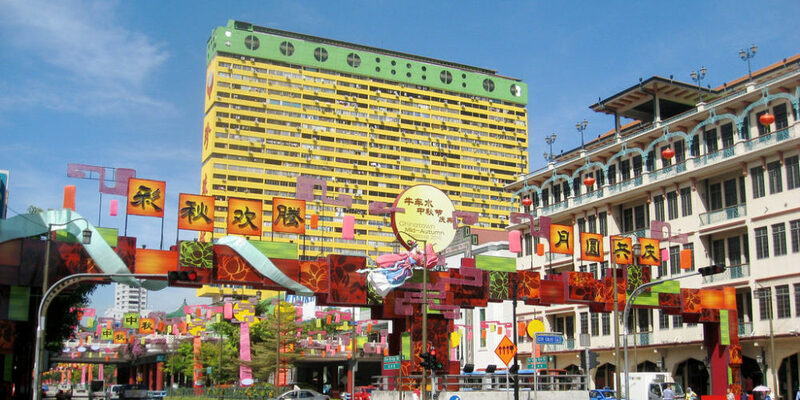 (Weekends, from 4:30pm to 6:30pm) Or join their “Footsteps of our Forefathers” tour for local food tasting and learn about the heritage of Chinatown through the stories of Singapore’s pioneers. (Saturdays, from 9:30am to 11:30am). Find them here. Brush up before you go with our very own Chinatown guide here. The guides’ enthusiasm and passion for their home country is infectious. You will finish the trip an enlightened individual with the young and energetic chaperones. You can also request for personalised tours based on your interest, but these will come at a negotiable fee. Drop an email to info@indiesingapore.com to customize your route! Or find them online here. You don’t only get to walk, but will also get to taste the local flavours and shop around for souvenirs with insider information on all the best spots. 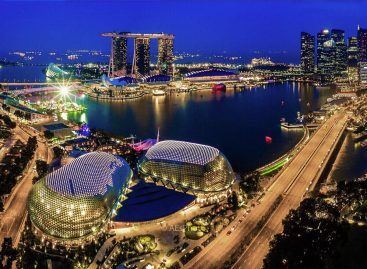 We’re very happy to announce that as of the beginning of 2018 Context Travel, our favourite tour company, has started to give tours in Singapore! Why are they our favourite? Well, that’s because the guides are all carefully selected and are very knowledgable about specific things. Tours are also customisable, so if you’re a lover of architecture, history, culture or nature, the docents will map out a route that is specifically designed to cater to your every taste. While it is not free, as each tour is different Context Travel will come up with a special price for each tour. Join passionate local university students as they take you on a journey from the 1300’s to present-day Singapore. 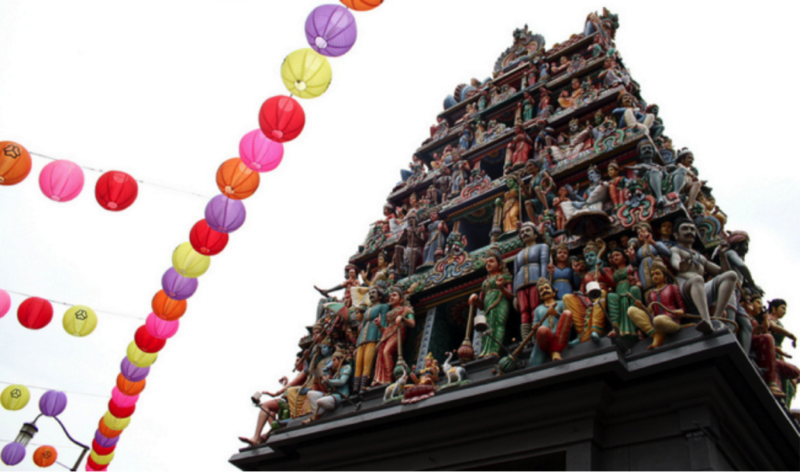 The tour starts at the Asian Civilisations Museum and ends at Outram Park. Hear tales of the country’s beginnings as a trading port along the Singapore River, visit Singapore’s oldest temple and look at skyscrapers in the Central Business District. 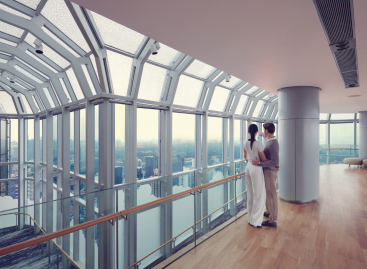 End your journey with an amazing view atop the Pinnacle@Duxton’s 50th storey viewing deck! At 4 hours long this is a lengthy walking tour, but you’ll get a good tea break in between to relax and sample local drinks and snacks at a local bakery and hawker enter. (Saturdays, from 1:30pm to 5:30pm). Catch them online here. You’d think that walking for five hours in the heat of Singapore would be tiresome and boring, yet the experience with Sneakpeek is anything but tedious. With all the passionate stroeis and personal anecdotes you won’t even know the time has gone by, in fact, you’ll probably leave wanting more. 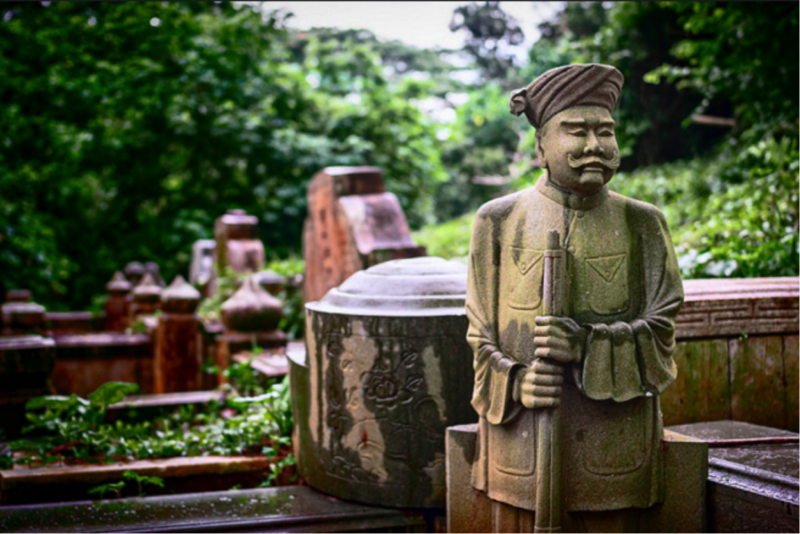 It may seem a bit odd to have a tour of a cemetery, but not here at Bukit Brown. For walking tours in Singapore, this is one of the most unique. The largest public Chinese cemetery outside of China in the early 20th century has 100,000 graves. All Things Bukit Brown, a volunteer community of history buffs and nature lovers, promotes the cemetery as a living archive of Singapore’s past and are keen to unravel the stories of the people buried here, many of whom are notable pioneers, This includes Cheang Hong Lim and Chew Boon Lay. (Weekends, from 9am to 12pm). Check out meeting points and other information on the website here. It’s nice to understand a country from those who came before us. This is not a scary, ghoulish walk about ghosts and the dead, but rather a reminder of Singapore’s forefathers with stories on a very special history. Leave the city and soak in the beauty of nature with free guided tours around Singapore’s various parks– all led by experts and available in several languages. Catch cheeky long-tailed macaques in action at MacRitchie, learn about the rainforest at Botanic Gardens or go birdwatching at Sungei Buloh. It’s by far one of our best Singapore free walking tours as we love nature. Some of the more exclusive tours have a nominal $3-$5 fee, such as the one at Pulau Ubin and Chek Jawa showcasing six ecosystems. Pulau Ubin is also one of the 5 places to camp in Singapore! (Dates, languages, walk durations and maximum guest numbers vary per route). Find them online here. This is for nature lovers and those who would like to get a break from the city. 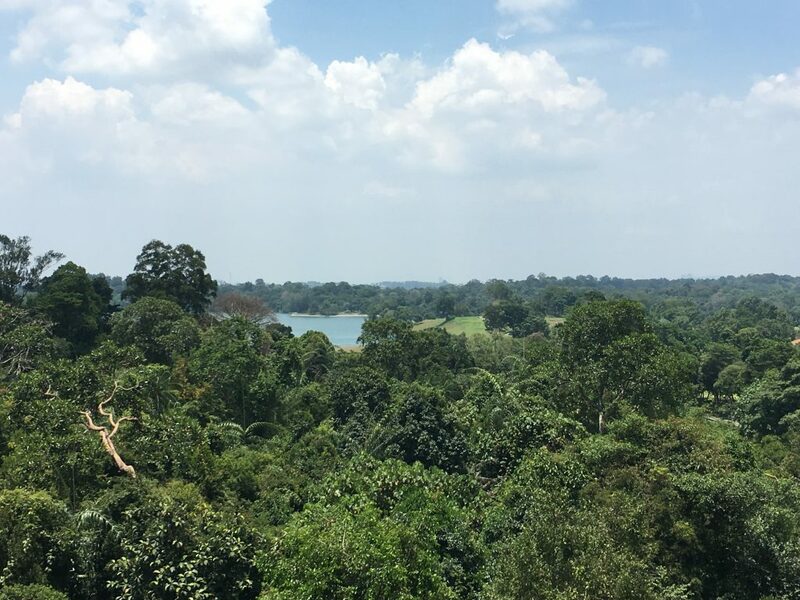 You will not only be out in the fresh air, surrounded by lush greenery, but will also learn a thing or two about Singapore’s very unique ecosystem. The cute mohican macaques are also a bonus for those who love animals. Photographers rejoice! Crowdsourcing is all the rage these days, and it’s even hit the walking tour arena with a Singapore free wlkaing tour. Crowd Trails is a free app created by the National University of Singapore that taps on the creative minds and experiences of users to create, explore, and share unique walking trails. Whether you’re a foodie, history buff, nature lover, or just looking to see how others enjoy your favourite places in Singapore, you’ll be spoilt for choice in re-discovering this country through other people’s’ eyes. The app also has a special Heritage Trails edition that documents how Singaporeans live, work and play at historical sites. This is available on the Apple App Store. Check out their website here. Crowd Trails has a deeper purpose to safeguarding the stories of its elders. This need to bring meaning and context to places led to a collaboration with Yong-en Dementia Day Care Centre which can “safe-keep the life stories of their clients for their future generations”. Explore Singapore with a purpose. 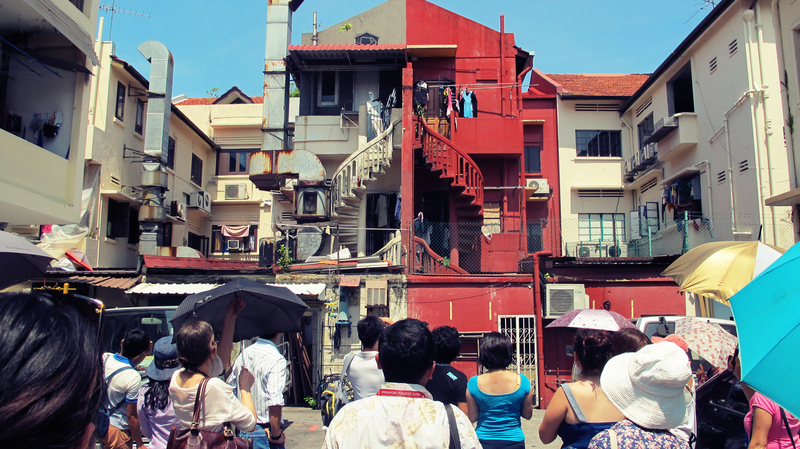 An annual affair since 2011, Jane’s Walk offers over 20 guided tours every May and covers everything from jogs along the Kallang River to leisurely strolls around Tiong Bahru– which we have covered in our neighbourhood guide here! The concept behind Jane’s Walk is to start conversations about places and people, so every tour is planned and led by enthusiastic resident volunteers who share their personal experiences of working, living or playing in their area. (Dates, walk durations, and maximum guest numbers vary per route). For more information on the walk check out their website here. Jane’s Walk has an open policy on discussion, where all thoughts are welcomed and examined. You will find out more about the need for community in Singapore and what “kampong spirit” means. 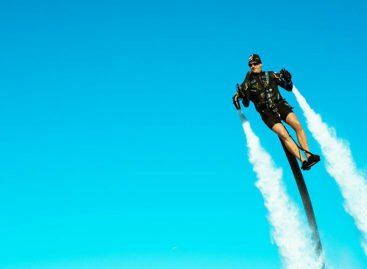 Got a few hours to spare before your next flight? Make full use of your layover with Changi Airport’s 2.5 hour twice-daily City Sights Tour and catch modern Singapore’s skyline, including stopovers at The Merlion, Singapore Flyer, Marina Bay Sands and Gardens by the Bay. 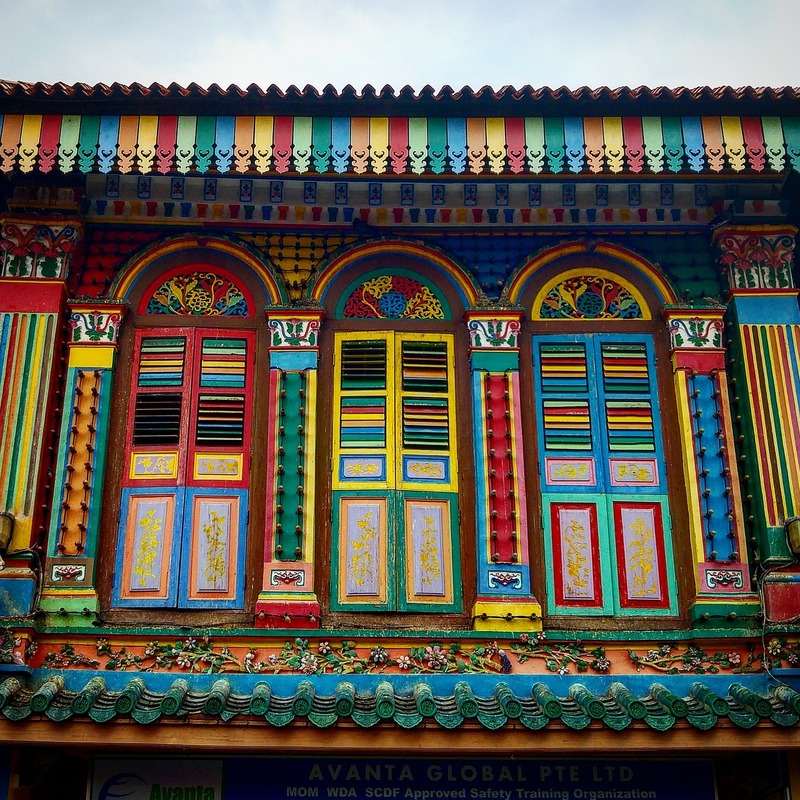 Discover Singapore’s melting pot of cultures by visiting colonial and cultural districts, including Chinatown, Little India and Kampong Glam on the Heritage Tour, running 4 times a day. (For Changi transit passengers only). Check on the Changi website for how to book here. This is a must-do activity for long transfers, even though you can spend a full day in Changi itself. So often we visit airports but are unable to actually enter and therefore experience the country itself. So this is the perfect opportunity to understand Sinagpore’s diverse culture and history before you jet off to your next location. If you like your walks free and easy, then check out the 14 self-guided free walking tours in Singapore that you can pace yourself on trails created by the National Heritage Board. Their free downloadable guides (around 30 pages each) includes maps, past versus present-day pictures, detailed descriptions and interesting facts on Singapore’s landmarks, and directions to hit every heritage marker (standing stone plaques with further descriptions about where you’re standing). If you don’t have access to a printer during your visit, then download NHB’s 3 free walking tour apps (WWII, Singapore Heritage Trails, SG Journey), which feature games and interactive maps to deepen your knowledge of Singapore’s rich history. Check out their website with times and dates here. 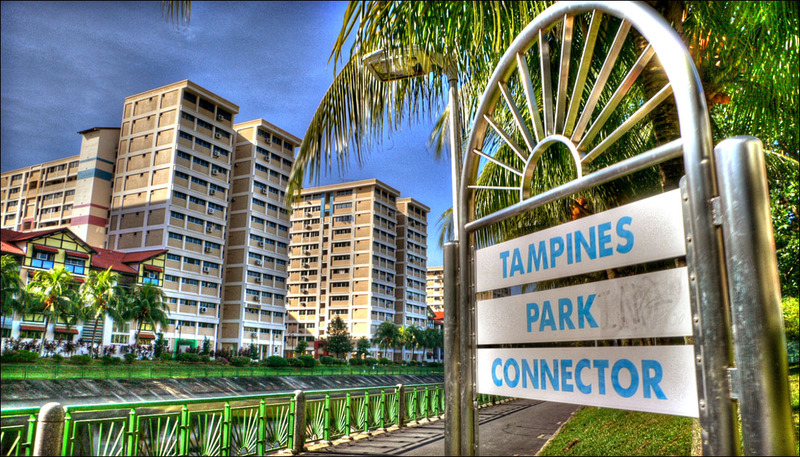 Although all the tours are special in their own right, one of the Tampines Heritage Trails is a great last tour before you jet out of the country as it’s right next to Changi Airport. There are also different options depending on your creed from religious monuments to green spaces and the town itself. Here’s a fun video to get you excited. Okay, so this tour isn’t 100% free, but the price is nominal and the route is so unique we just had to include it on our list. Taking an art museum experience one step further, Art in Transit brings you on a 2-hour walking tour to explore site-specific art installations at 12 MRT train stations along the Northeast Line and Circle Line. Professional guides will not only explain in detail the inspiration and meaning behind every artwork, which are overlooked by everyday passengers, but they will also share the cultural and historical heritage of the area found at each station. To book, call 6873 9505 or email enquiries@artoutreachprogram.org or find them online here. This is a professional service with guides who are very knowledgable in the area of art in Singapore and in general. It’s a great excursion for art lovers who are looking for more aesthetic inspiration beyond the museums.